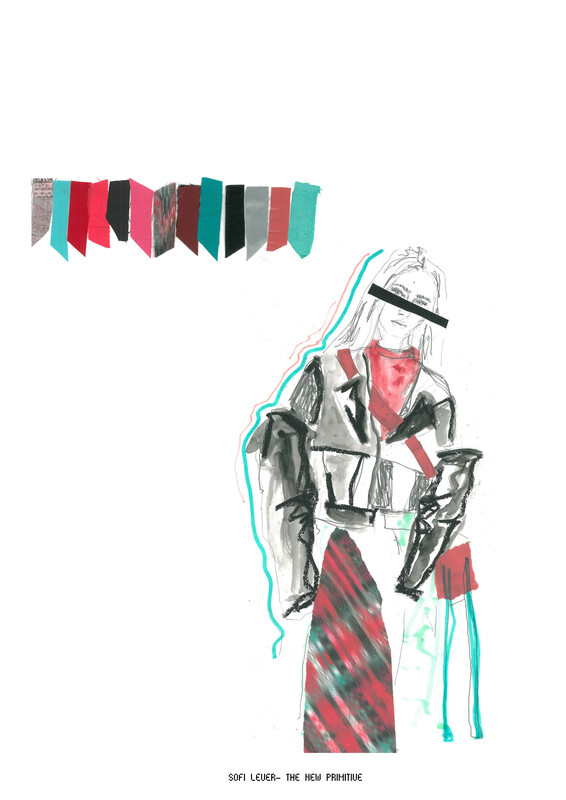 My Graduate Collection titled “The New Primitive” is a contemporary womenswear collection, focusing on innovative textile techniques and intricate detailing. I drew my initial inspiration from George Orwell’s dystopian novel ‘1984’, I was influenced by the concept of higher authorities watching and tracking movement of others, and how aspects of Orwell’s vision can be seen in modern society. I wanted to question the idea of whether we are becoming a complete surveilled state; and whether the result of the new digital age will cause our identities to be tracked and coded by binary codes instead of the qualities that make us human. 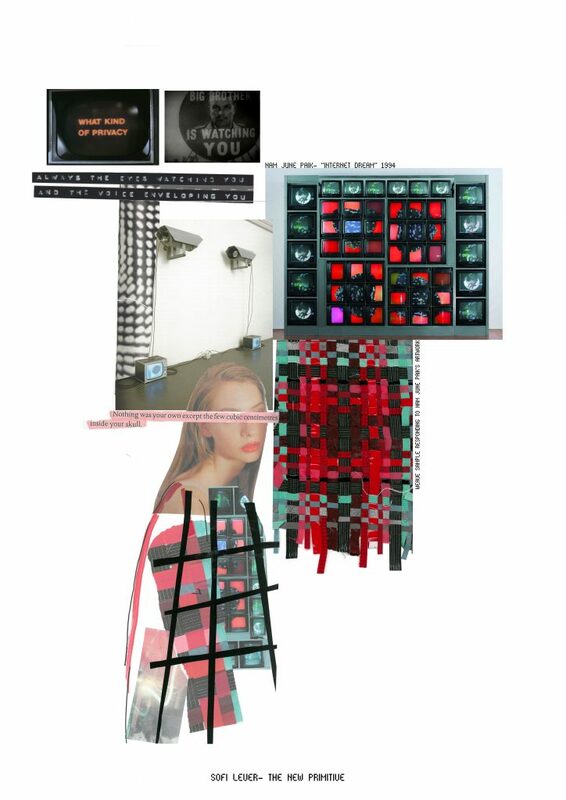 I was influenced by a variety of contemporary artists such as Nam June Paik, Stan Vanderbeek and Addie Wagenknecht who use themes of surveillance and digital technology in their work. I was particularly influenced by sociological artist Hervé Fischer’s exhibition in Paris, whereby he responded to a variety of digital and binary codes through his paintings. The quote “a return to painting is needed to withstand the dissolving flow of bytes by freeze framing. Like primitive man, I paint icons of the emerging digital age” was my initial inspiration behind my wish to reflect and develop the idea of having to respond to digital codes in an almost primitive nature. I wanted to react to digital sources in a more organic way, by the use of traditional techniques such as, hand weaving and hand stitching. I tried to combine these traditional methods with innovative and digitally enhanced techniques to create a juxtaposition and give my collection a contemporary edge. What were the highs and lows through creating your collection? Initially I found the thought of starting my Final Major Project quite overwhelming, as everything I had learnt over the last 3 years of University had always led to this point. I was nervous at the possibility of not being proud of the work I produced, and worried about whether I would be able to deal with the pressure of creating a final collection. Therefore, the first few weeks of FMP were probably the hardest in terms of feeling confident in the theme I had chosen. I struggled with finding a colour story that was interesting and reflected in my research imagery. However, once I was happy with this I was able to generate my ideas and textile samples quickly and started to see the beginnings of my collection take shape. As with any project there were things that went wrong at times during my FMP, often in terms of construction as I was determined to try to finish my garments as professionally as possible. I therefore had to problem solve and trial many finishing techniques which proved challenging along with having to deal with various time pressures and deadlines. However, the high points were definitely catching sight of my collection coming together and ultimately noticing how each outfit worked with the next. Some of the techniques I had chosen took me many days to produce, so seeing these slowly taking shape into a garment was really exciting. The main high point was definitely seeing my collection on the catwalk at the London show. What have you learnt from creating it? I think the main thing that I’ve learnt is that if you push yourself and work as hard as you possibly can you may well be successful in producing garments that would have seemed too overwhelming or challenging at first. 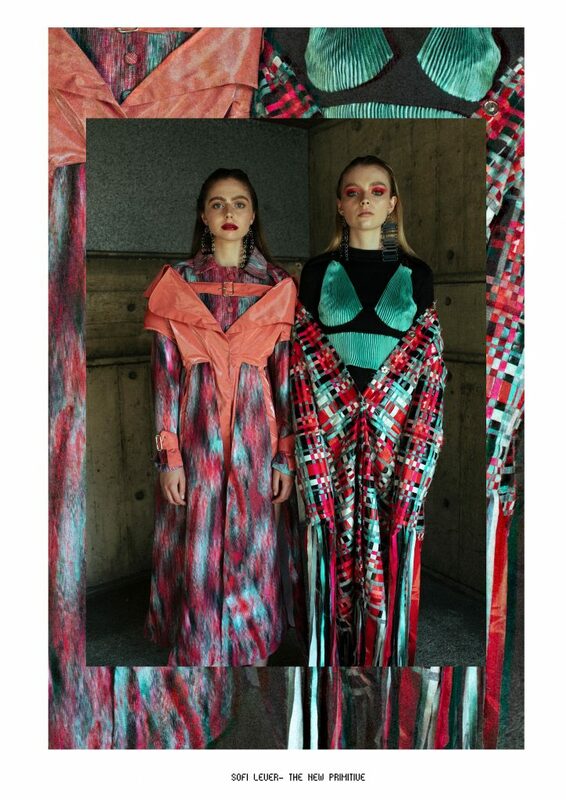 I eventually succeeded in creating a collection with a variety of textile techniques such as hand weaving, pleating, hand stitching, digital printing and laser cutting all of which were a challenge and seemed daunting at first. However when you step back and just focus on each task individually it’s surprising what you can manage to produce within the time frame. Any advice for students filling in your footsteps? Push yourself and stay true to your brand identity! 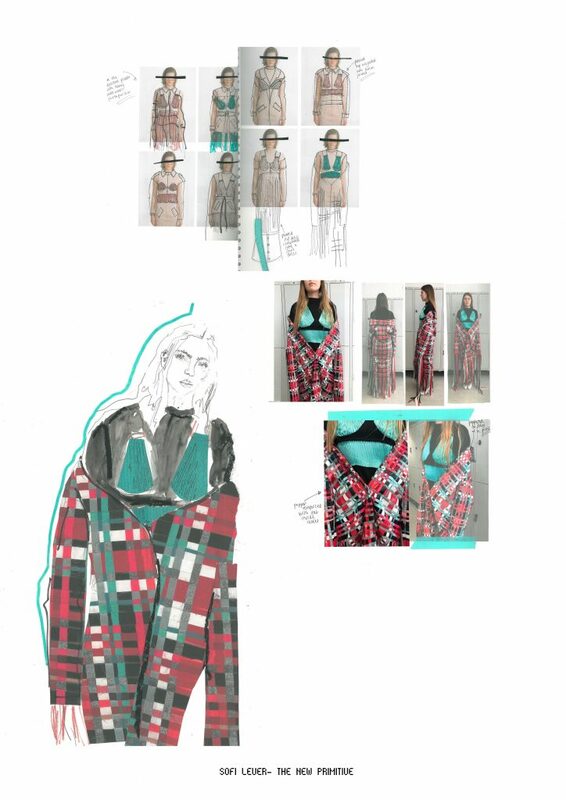 Your final collection is the last thing you will create at University so it’s important to be proud of what you have produced and be excited and confident about showcasing it to industry post graduation. Going that extra mile is most definitely worth it in terms of standing out among the hundreds of design graduates! For me, that meant dedicating time to create innovative techniques and textiles and spending time organising a photoshoot and fashion film that best showcased my collection and related to my overall concept and theme. 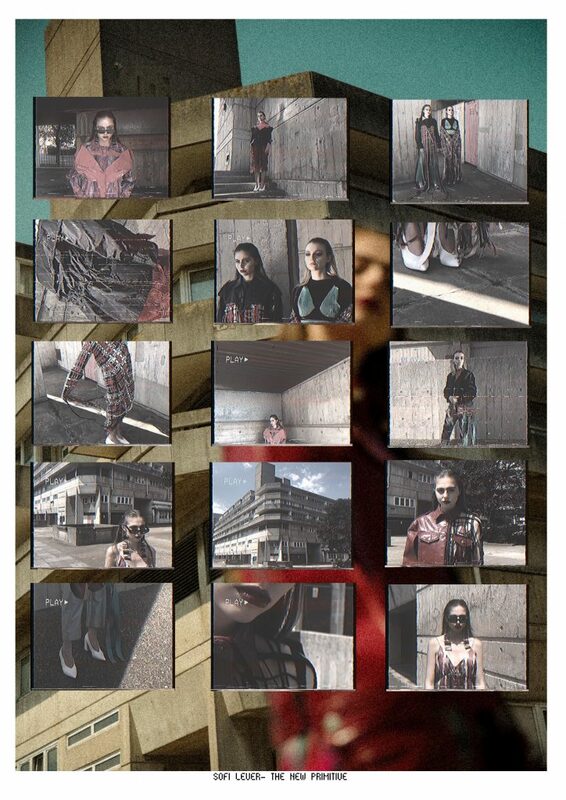 I feel that the little extra touches such as a strong portfolio and a fashion film will really help when it comes to being noticed when applying for jobs as it shows that I have put thought into every aspect of the design process. Choosing a concept that you feel hugely passionate about and excited to research is very important, as, it makes the design process so much more enjoyable. Lastly, try to manage your time well and stick to the various deadlines and time pressures as this will help you keep on top of the large work load. Final Collection is the biggest challenge but also the most exciting one, enjoy it as it’s all over far too quickly! This entry was posted in Fashion & Textile Design and tagged Fashion, fashion design, graduate, Graduate Collection, Graduate Fashion Week, Level Three, Make Future, Winchester School of Art, WSA Graduate by Sharon Williams. Bookmark the permalink.